When temperatures are in the single digits, children who live at 70 Vestry can play here. Winter can be hard on city kids. 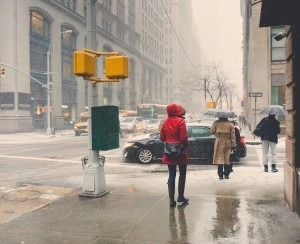 It’s too cold to head to the park to play, but too boring to stay in your apartment day after day. After all, there are only so many cookies you can bake or craft projects to make. That’s why living in a building with a children’s playroom can be a real help. No matter the weather, little ones have room to play, and feel less like tiny shut-ins. In this week’s Buy Curious, Allison Chiaramonte of Warburg Realty and Gabriella Santoro of BOND New York tell you which New York City buildings have the best playrooms, what ages they’re best for, and whether you’ll have to pay extra to make use of them. I have a couple of kids, so I’d love to buy an apartment in a building with a children’s playroom that will keep them occupied for long stretches of time. Where should I look? 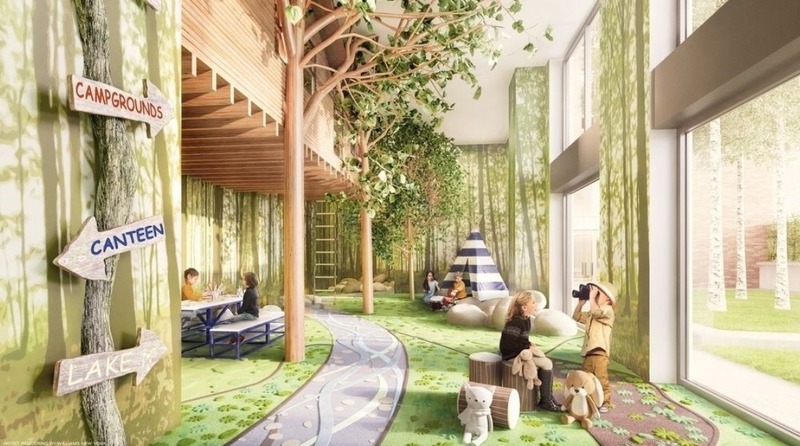 Which NYC buildings have the best children’s playrooms? While lots of Manhattan buildings offer playrooms, Chiaramonte says that some simply outshine others. 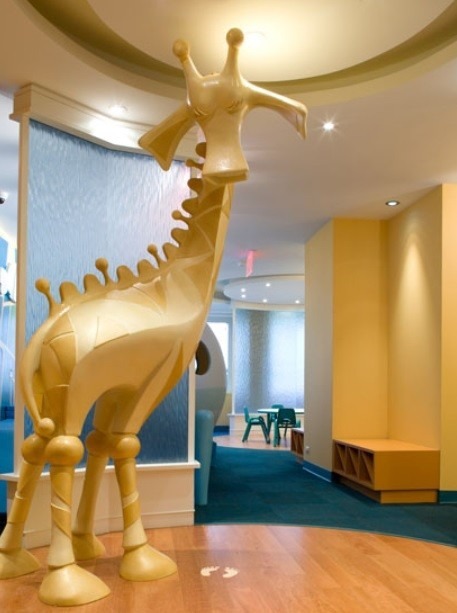 The Kent in Yorkville “is a truly amazing kids’ space whimsically designed as a tree house,” she says. The building also has a private outdoor playground for warmer days. The playroom at Lenox Hill’s The Manhattan House isn’t the largest, but it has a play table, a gym space, and a giraffe that talks. “It’s great for younger children because you can see a child anywhere in the space,” she says. 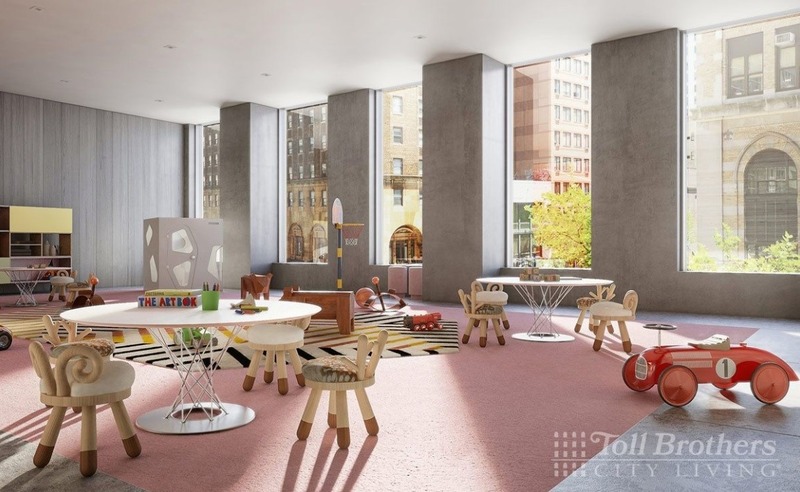 The play area at 100 Barclay in Tribeca is split into two separate spaces—a kiddie area with a large play structure (complete with a slide) for the littlest residents, and a teen room/lounge that has foosball, beanbags, and a gaming area equipped with Playstation, Xbox, and Wii consoles. 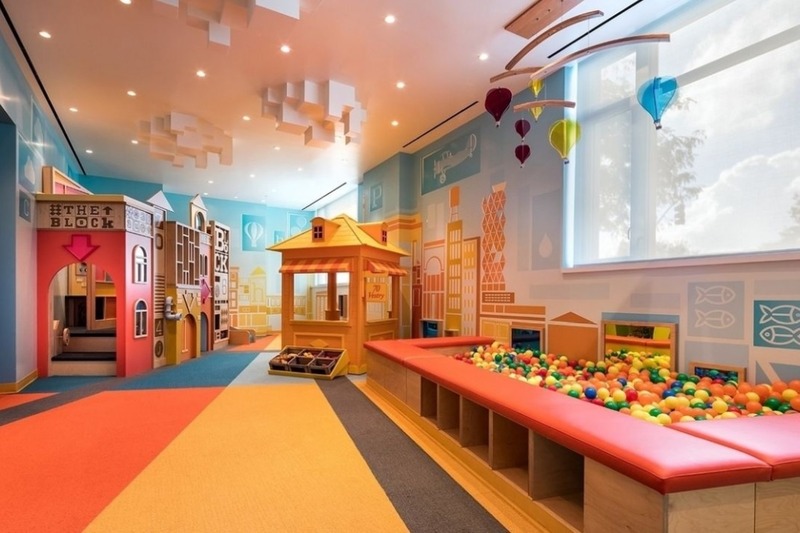 She also loves the kids’ area at Tribeca’s 70 Vestry, which was created by Roto, a firm that has designed a number of children’s museums across the U.S., “which means that it’s gorgeous and educational,” she says. She also likes the Upper West Side’s Circa Central Park, which has two rooms aimed at kids—one for the younger set, as well as a tween room equipped with computers and game stations for those who fancy themselves too big to play with toys. 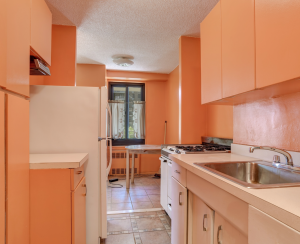 What ages do these rooms typically target? Although most are geared towards younger children—ages one to six—Chiaramonte notes that developers seem to only now be realizing that older kids need a hangout space, too, and are building more tween/teen-type rooms. In addition to 100 Barclay’s teen room/lounge and Circa Central Park’s tween room, there’s also a Wifi-equipped game room at Yorkville’s Azure, a teen room at West Chelsea’s The XI, and a teen game room with ping pong and pool tables at The Harrison on the Upper West Side. Do people really use these play areas on a regular basis? “I have had clients who couldn’t have cared less about a playroom when they first bought, but now live for their playrooms during the long winters,” Chiaramonte says. She does, however, note that these rooms are often empty after daytime hours and on warm sunny days when folks would rather be outside. What types of buildings typically have these kinds of kiddie areas? The desire for these amenities is a somewhat new phenomenon, so these kinds of playrooms are more likely to be found in newer condo buildings—often in ground-up developments or in conversion projects. “Older buildings’ physical infrastructure (as well as the structure of a co-op board) make it harder to find the individual space and the budget” to build a playroom,” Chiaramonte says. 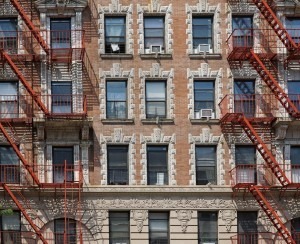 What neighborhoods should you look at? 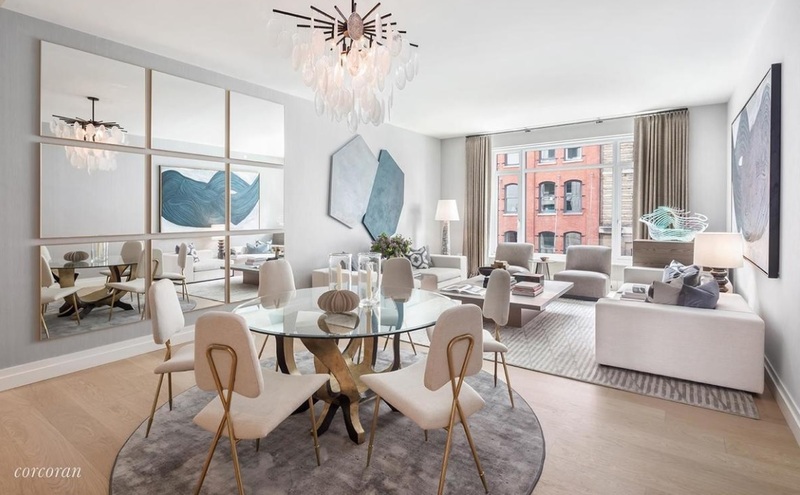 Family-friendly neighborhoods such as the Upper East Side and Upper West Side are the most obvious places to look, as are areas that have seen lots of new development in the last few years, like Tribeca. Do you usually have to pay an extra fee to use a building’s playroom? Nope. Use of these rooms is almost always included in your monthly common charges, so there’s no reason not to make use of them. What are some pros of having a playroom on the premises? Any area that allows kids to roam free will be loud, so there could be some noise issues. In addition, “I have seen some areas outside playrooms become stroller parking lots, which is not everyone’s cup of tea,” Chiaramonte says. This $7,950,000, three-bedroom, three-and-a-half-bath condo has a south-facing living/dining room, a separate windowed eat-in kitchen with custom oak paneling and marble countertops, a large entry foyer, lots of closets, and double washer/dryers. Parking and storage are available for an additional fee. It’s in 70 Vestry, which has a squash court, an 82-foot swimming pool with an additional play pool, fitness club, yoga and Pilates studios, lounge, dining suite, billiards room, café, and children’s playroom (pictured above). Common charges are $4,121 a month. Taxes are $4,395 a month. 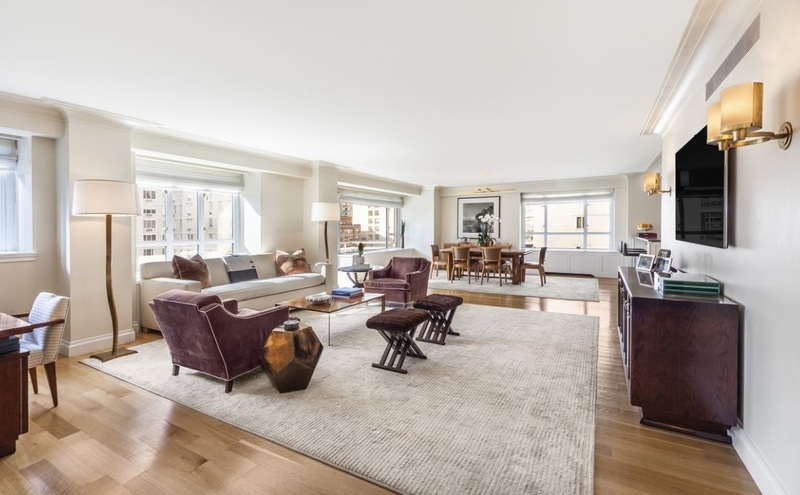 Listed for $2,993,000, this 1,481-square-foot, two-bedroom, two-bath condo has custom millwork, an eat-in kitchen, and an in-unit washer/dryer. It’s in The Kent, which has a concierge desk, a 24-hour doorman, a stroller valet, a cold storage room, a 55-foot indoor heated swimming pool, a fitness center, Finnish saunas, a landscaped courtyard, a canine spa, and a bike room. There’s also the Sound Lounge, which has a performance space and stage, a dance floor, studio space, and gaming consoles; the Garden Salon, which offers a fireplace, a billiards table, a library, and a catering kitchen; and Camp Kent, an interactive indoor/outdoor children’s playroom, complete with a tree house, a “campfire,” and a picnic table. Common charges are $1,738 a month, and taxes are $176 a month. 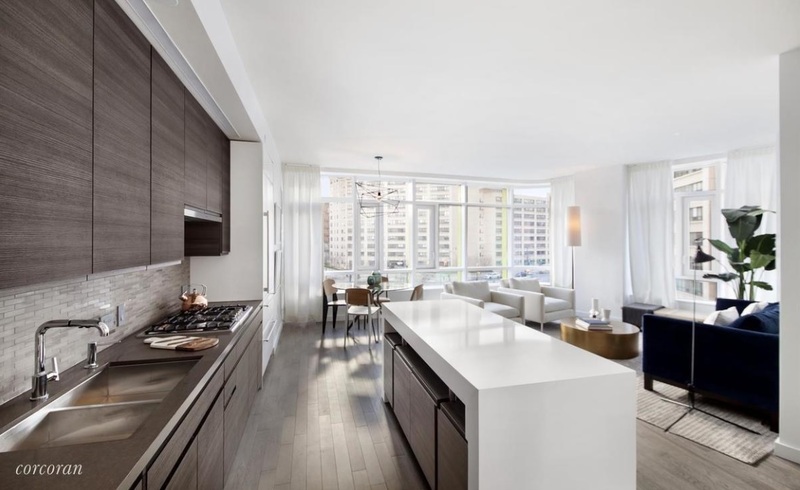 Listed for $3,455,000, this 1,679-square-foot two-bedroom, two-and-a-half-bath condo has high ceilings, oversized windows, white oak floors, and polished quartz countertops and acid-etched back-painted glass cabinetry in the kitchen. There's an indoor pool, landscaped courtyard, indoor/outdoor residents’ lounge, rooftop terrace, fitness center, screening room, automated indoor parking system, and a children’s playroom. Common charges are $1,769 a month. Taxes are $3,125 a month. Priced at $5,495,000, this 2,588-square-foot, three-bedroom, three-bath condo has an oversized entry foyer, balcony, great room, open chef’s kitchen, and central air. 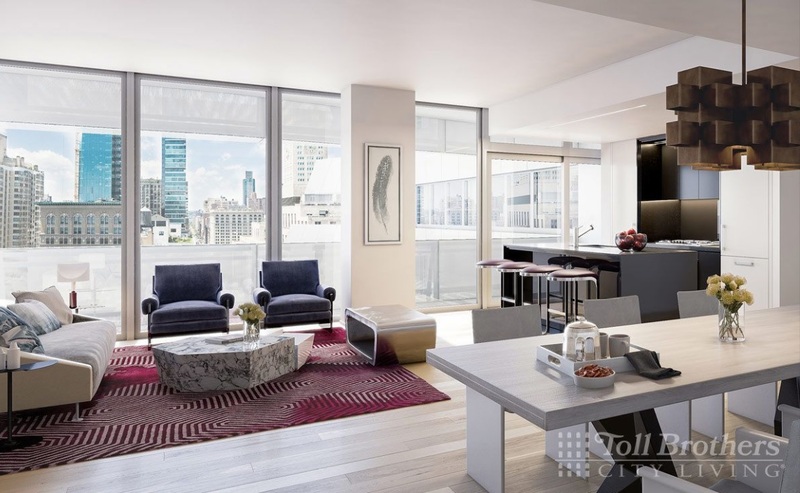 It’s in Manhattan House, a condo building with a full-time resident manager, concierge services, valet parking, garage, spa, gym, rooftop lounge, observation deck, and children’s playroom. Common charges are $2,743 a month. Taxes are $2,013 a month. Two private storage bins are included in the sale. 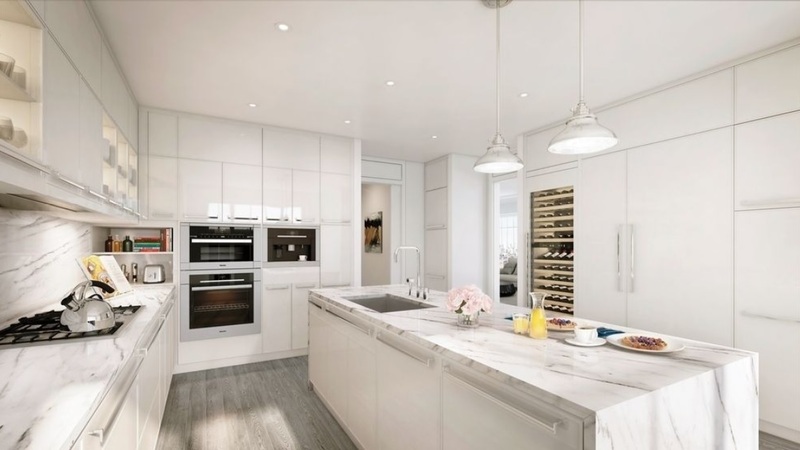 This $2,815,000, corner three-bedroom, two-and-a-half-bath condo has an open plan living/dining room, custom Italian cabinetry and a center island, oak hardwood floors, radiant floor heating, washer/dryer, central heating and cooling, and floor-to-ceiling windows. The apartment is in Circa Central Park, a new development offering a 24-hour doorman, landscaped courtyard, fitness center, shared rooftop terrace, parking, live-in super, children’s playroom, and a tween room equipped with Mac computers and game stations. Common charges are $2,047 a month, and taxes are just $195 a month thanks to a 25-year 421-a tax abatement.